Do you love hedgehogs? I do! They're such adorable animals. 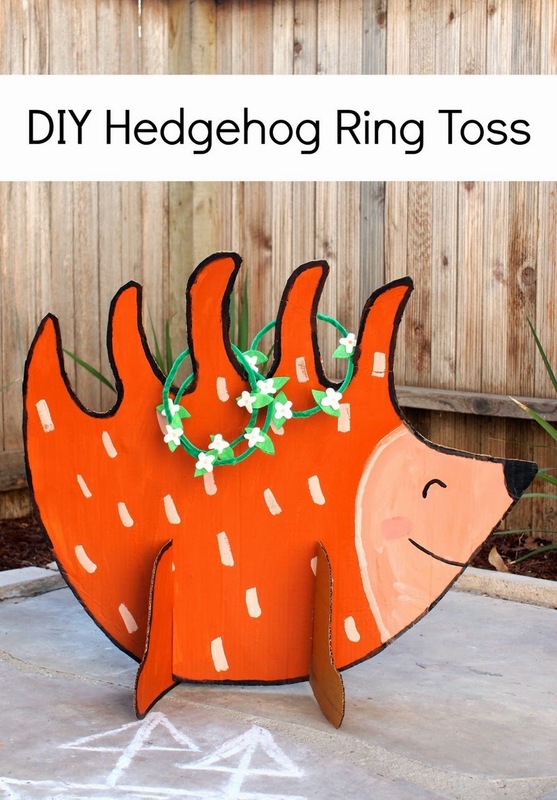 So I'm super excited that my first contribution for MollyMoo will be this super cute DIY Hedgehog Ring Toss Game! It's made from an old moving box and didn't take very long to make at all. (My kind of craft!) So if you want to make one, I'm sharing directions over here!